There are endless ways to enjoy the great outdoors, and we should enjoy it more every single day. It’s time to leave our comfort zone and get active to reap the physical benefits of being with Mother Nature. If you want to break free and leave the solitude confinement of your home, the beach is one of the great places to start being active. 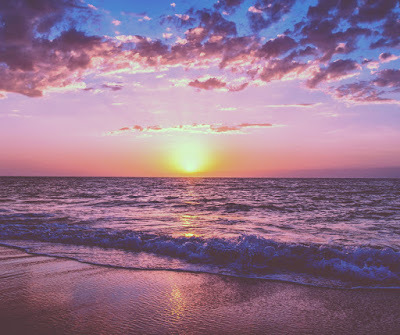 The beach offers a wide variety of activities from basking under the sun getting a perfect tan, taking a deep in its waters, or just having a great time in many water activities along the shores. But when it comes to beaches and waves, one thing will come in your mind – surfing. Surfing has been the fascination of many beachgoers from time immemorial, its cool, fun, and above all, it feeds your adrenaline rush. What may seem ‘just riding the tide’; surfing is a very demanding sport that will build your level of physical fitness at every stage of the learning process. It’s a perfect epitome of enjoying the great outdoors while working out. Surfing will definitely give you a full-body work out every time you hit the waters. This fun water activity can boost your confidence, tone your body, all in the midst of learning more about nature and the environment. It may also take you to different places chasing the perfect waves and the most challenging tides of all time. If you are afraid to hit the waters, there are a lot of surfing school along Huntington Beach to start with. One of the best schools is Learn to Surf HB, where they can teach you the basics of surfing without putting too much pressure on you. They have very friendly instructors that will patiently wait for your progress and you’ll feel their excitement once you make that first ride. They have many professional surf instructors that can give you hints and advice on how to stay up above waters. With types of equipment in pristine condition, they are indeed one of the best surfing schools in the area. There are a lot of things to do on the beach and not just to surf. If you are looking more than learning how to ride the perfect tides, then Zack's HB is the perfect place to go to. They have a variety of beach activities including biking and swimming. As they are known to have family-friendly activities, they are absolutely amazing with young families. Locals consider Zack’s place as a landmark in Huntington Beach with great food paired with fun water activities. Then there’s Surfriders Academy surf school if your kids want to learn surfing at an early age. Their highly trained surf instructors are patient, knowledgeable, and very encouraging with your kids will surely love. Cheaper than most of the surfing school along the beach, many would come here because of the great service they offer. With excellent reviews, the place will never disappoint you and will be riding the waves in no time. Last but surely not the least is Corky Carroll's Surf School & Beach Adventures. They know really well how and what to teach people who want to surf but doesn’t have any slight idea how to. Offering private lessons, you can expect nothing but the best from them. All of their surfing instructors are patient, enthusiastic, and highly professional. These schools are just a few of the many along Huntington Beach. If you want to learn how to surf, these places are highly recommended but it should stop you from exploring other places. Be sure to check the Huntington Beach map. 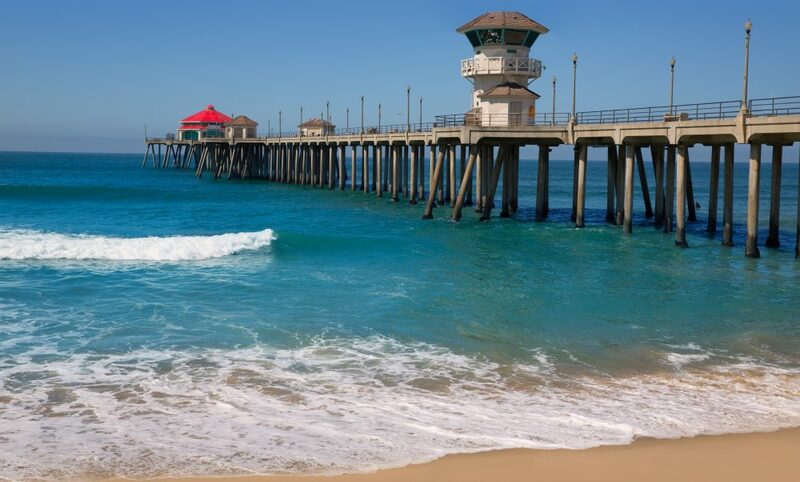 What makes Huntington Beach special is having a really diverse food scene ranging from local run burger joints to world-famous California cuisine. They even offer vegan ramen restaurants and heavenly guarded family recipe delicacies. You can even have a Mexican dinner paired with a beautiful view of the ocean. But most people enjoy having their drip coffee overlooking surfers making their perfect rides in the waves. There are tons to do and to go in Huntington but it's really best to let your tummy decide where your feet wonders. Here are some of the most amazing restaurants you’ll find in Huntington Beach. With a new spacious outdoor patio dining area, people really can’t get enough of The Black Trumpet Bistro Tapas & Wine Bar. Hailed as one of the most friendly and efficient services, The Black Trumpet serves great tapas, salads, and desserts that are all too good for sharing. With a bit of Mediterranean twist, this resto also serves great steak and a wide selection of wines. But don’t let that stop you from ordering other food on their menu, as they have a lot. Because of the popularity contributed by their good food, you may want to avoid dinners and weekends as they can get really packed easily. People can’t get enough of Bluegold because of their excellent service and good food; the two main ingredients of creating a really nice dining experience. They serve best tasting American comfort food with a great scenic view from the beach. Most locals would choose Bluegold to celebrate special family occasions, as any food they order will come out fresh from the kitchen which tastes like heaven. If you want a little more than just dining experience, then Duke's Huntington Beach can feed your cravings to a satisfaction. This place offers live music located just right of the beach walk. Expect service to be beyond average as they have a friendly staff that can accommodate almost everything. Their seafood dishes are a must try and cooked to perfection. As they are really close to the sea, their window seating is the best place to sit and eat dinner with your loved ones. What can get better than that; it’s a complete package – the music, the view, and the food. After long hours out in the sea, most of your energy depleted by surfing the whole day, you probably can’t wait to sink your teeth into some food. If you want a quick bite then Sandy’s has the best tasting sandwich by the sea. It’s a good place to sit and relax while looking at the most beautiful sunset in Orange County. Give your body a total rest it needed for the day and indulge your tummy to some food, as Sandy’s has great serving portions to feed you well. Considered as one of the treasured restaurants in Huntington Beach, Pacific Hideaway has great ambiance and even greater service. They live up to their name as they offer wonderful service even if they are fully packed. Servers are super attentive and their foods are so post-worthy. Most people come here to taste their bestselling seafood dishes but they also make great tasting steaks. Pacific Hideaway is a great place to end your surfing adventure, and to fully experience Huntington Beach at its grandest. 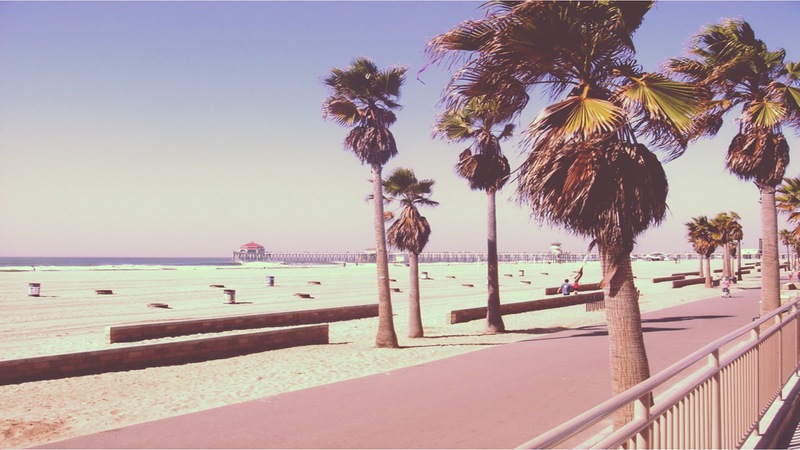 Many considered Huntington Beach as the “Surf Haven”; lined with amazing restaurants, adorned with palm trees, sandy beaches, topping it off with the famous surfing Walk of Fame. Through the years, the beach has undergone a number of renovations and is evident with how tourists flock the area. With the newly renovated pier, great restaurants and movie theaters are now starting to flourish in Huntington Beach. Despite all it has been through, the waves remain unchanged, in which people especially surf fanatics keep coming back for more. 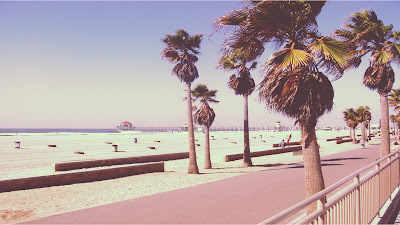 What makes Huntington Beach really special is how the wind meets the sea, making that perfect surfer’s wave every single time. One doesn’t just come to Huntington to ride the waves, as great as it is; there are certain places where you can catch a perfect ride without putting too much effort. Be sure to check out the custom maps of Huntington Beach. 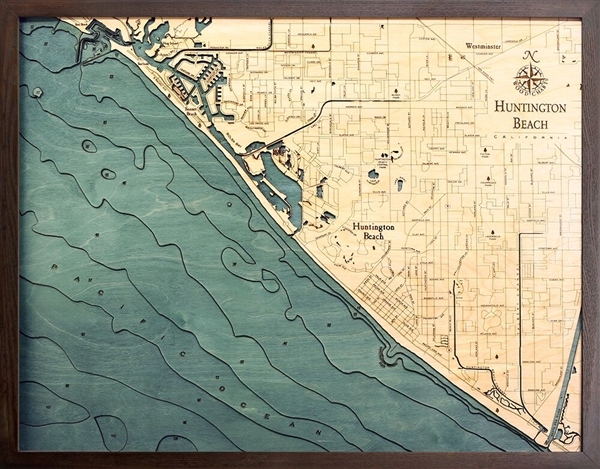 http://www.carvedlakeart.com/huntington-beach-wood-nautical-chart-map-p/hunt-d3l.htm Check out carvedlakeart if you want the best deals on laser cut map, wood nautical chart ,wood topographical map, and charts of the lakes, streams and oceans of the world. When people ask where to catch a perfect wave, locals usually starts at Huntington State Beach. It’s a place where a family can really have a nice beach day. Aside from its sandy beach, this state beach has lots of grass to play on and well-constructed playground for your little ones. There are plenty of spacious picnic gazebos and grill areas. They even have a bike path and some restos alongside the beach if you want to grab a quick snack or just to get coffee. You’ll never run out of activities in Huntington State Beach, so it’s perfect if you want more than just to surf. Not too far from Huntington Beach is Bolsa Chica State Beach. It’s considered as a hidden gem if you want to surf and surf fishing. This 3-mile beach is guarded with year-round lifeguards so it’s safe even for smaller children. It’s a great place to spend the whole day with your family, you’ll be even surprised to find the water a little bit warmer. They even have several restrooms with showers to rinse off the sand. With a continuous cleanup effort near the beach, it's fast becoming popular again even for locals. 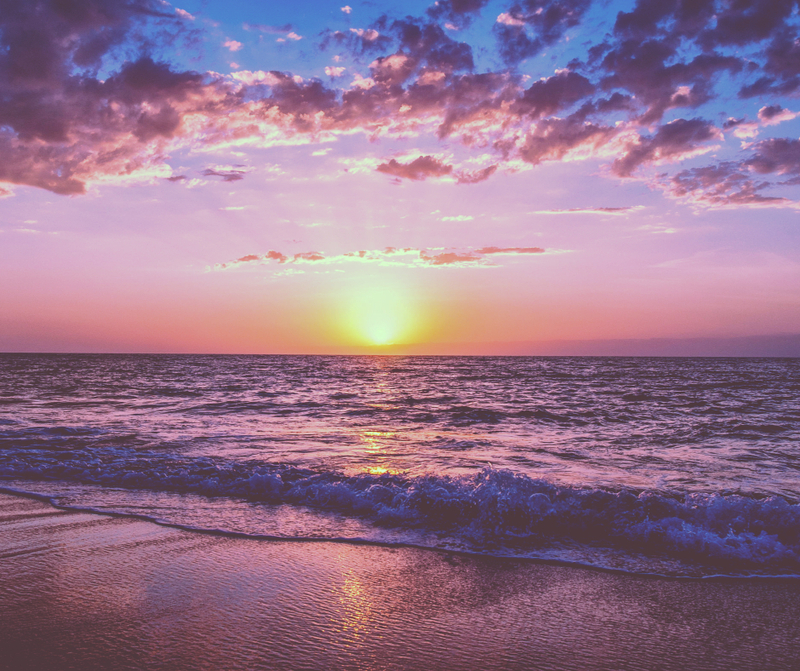 Wait for the sun to set to get a glimpse of a perfect sunset in California. If you want to steer of the crowd, then Lower Trestles is a place to go. Located just right off San Clemente, it’s a classic surfing spot and the best in the Orange County. The strong yet gentle winds create endless surf breaks that are perfect for surfing even for longboards. The place has a very relaxing vibe with beautiful scenery and one that should try at least once in their surfing career. Because of many surfing destinations around Huntington Beach, there are folks who are just too confused to decide where. If you are one of them, then you might want to try Venice Beach. It's just in the middle of Los Angeles from Huntington Beach surf. Hailed as one of the best spots to surf, Venice Beach is sheltered to the north by a man-made barrier. Because the waves at this beach are fast, constant yet short, beginners may have trouble riding it. But it does offer a great place to practice and to hone your surfing skills. Referred to as “The Gathering Place”, it serves as home to about 1 million people, making it as the third largest of the Hawaiian Islands. Oahu’s state capital is Honolulu and is located in its southeast coast. Measuring about 44 miles long and 30 miles wide, its shoreline stretches an estimated 227 miles. 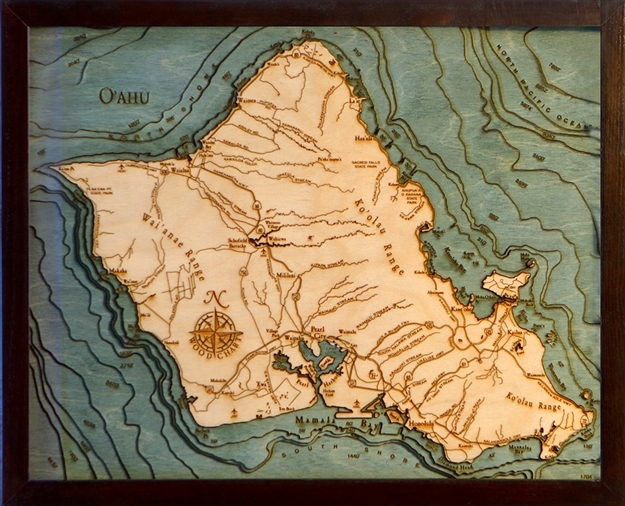 Oahu composes of two separate volcanoes, Wai‘anae, and Koʻolau Ranges. The highest point in this island can be found in the Wai‘anae Range, the Kaʻala, reaching for the sky at 4, 003 feet above sea level. 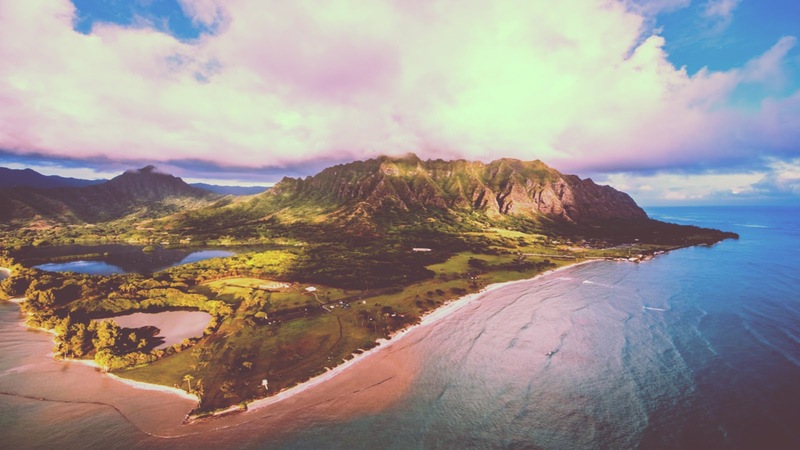 Because of its topographic characteristics, Oahu is considered to have one of the best waves in Hawaii. Many people who come to the island experience world-class surf and beaches. The view from its mountain peaks are incomparable to the rest of the world; hikes that greet you with the most amazing views of the ocean, fun water activities for the adventurous spirit, as well as sandy pristine beaches, to lay your back on and catch some tan. Oahu will not disappoint foodies as the island is littered with hip restaurants and authentic Hawaiian cuisine in its hole in the wall eateries. As the island houses its state capital, Honolulu, tourists can discover its rich and colorful history. It's captivating how their culture and tradition has thrived for thousands of years, without changing much, Its people learned how to value their deep history while accepting new changes in human civilization. All these boiled into the cultural cauldron of Oahu- fun, diverse, and ever-changing but never forgetting its past. When visiting the island, its better to start from the center of it all- Honolulu. Stay clear away from all the touristy sites like five-star seafood restaurants and luxury hotels to really get to know the authentic Oahu life. Learn more about the Polynesian culture which helps flourish some of the great nations in the world like Easter Island and New Zealand. Visit some of the museums in the city to learn more about the conflict surrounding Hawaii and its wartime history. First opened in 1946, Helena’s Hawaiian Food hasn’t changed much, which makes it great if you want a taste of local cuisine. Eat like a local and don’t miss out visiting this place. What sets this place apart from other restaurants is that locals gather in here to sit, eat, and talk about their community. It’s like eating in a common room with superb food while having a great local immersion. As the largest museum in the state, Bishop Museum houses the biggest collection of the cultural and natural history of their race on display. You can see the royal capes of the greatest kings and leaders of the Polynesian culture woven from thousands of feathers. They even have the deck of Hokulea, the largest voyaging vessel ever made that sailed across all the continents of the world. Don’t miss their show at their planetarium, where you can learn the ancient technique of voyaging that surpassed even the latest technology we have today. Then after all that trip, you may want to relax in Hanauma Bay and see the colorful fish and spot some centennial turtles along the way. Hailed as one of the best places on earth to swim and fish their world-renowned waters was even made popular by Elvis in “Blue Hawaii”. Just take note of their opening days, as they are closed during Tuesday to give their precious reefs a rest.